How do you know you are ready to speak? 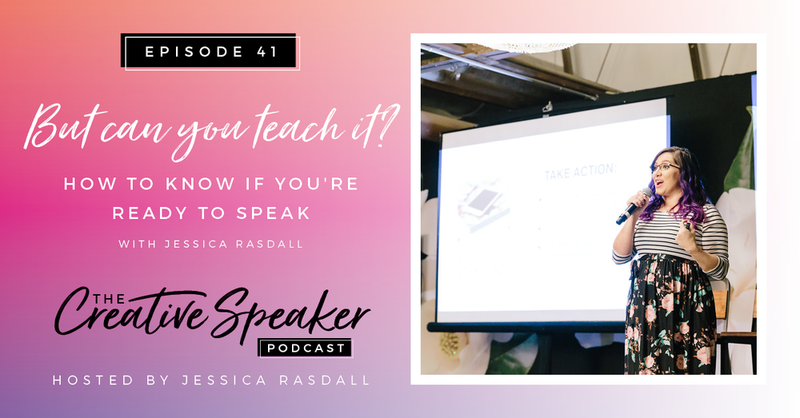 How do you know if you are ready to add teaching into your business? What if you aren’t ready but aren’t willing to face that? Truthfully answering this question is going to push you and pivot your business to do the thing you are really supposed to be doing and not just have that shiny object syndrome.Take the time to figure out if you can you teach it. If you're not ready to teach it, it's okay! But give yourself the chance to fail without doing it in front of a big audience from a big stage. You are either going to love this episode or hate it but I have zero apologizes here! This is a topic that needs to be discussed. It might give you the exact permission that you need today, or you might just be like all the praise, hands emojis behind your headphone saying, yes, girl, I'm right there with you. Either way, I know you will walk away with something valuable and actionable to your speaking journey! There is a difference between being an education speaker and a motivational speaker. Nobody is pushing you up against the wall and telling you that you need to be a speaker. Just because somebody else is doing something doesn't mean your business needs to do it or that it would even work for your business.